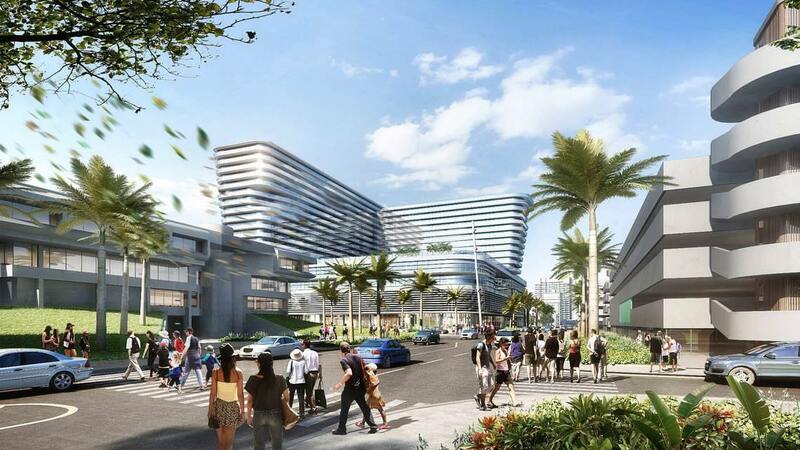 The developer of Miami Beach’s Convention Center hotel has been granted approval to jump start work ahead of schedule. City commissioners voted yesterday in favor of an early access agreement, allowing the developer on site in February 2019 to begin preparation for groundbreaking. The prep work will include demolition, civil work, and soil testing. A surface parking lot will be closed to allow work to begin. It would still be about a year before actual construction would start, with completion scheduled for fall of 2022. 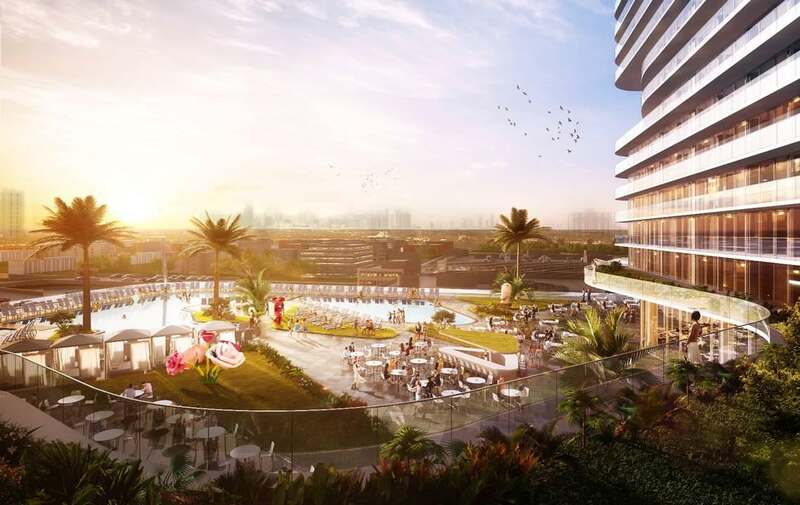 Voters approved a deal with the developer for the property in November 2018. 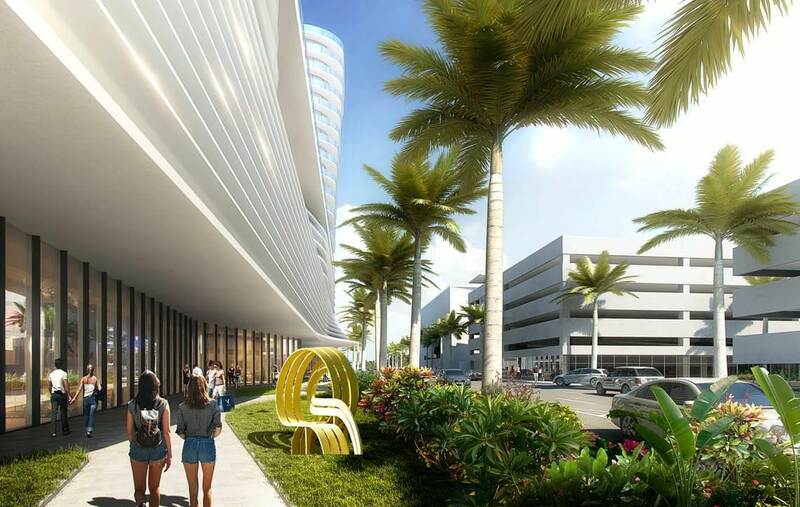 The hotel will have 800 rooms, becoming one of the biggest in the Miami area. 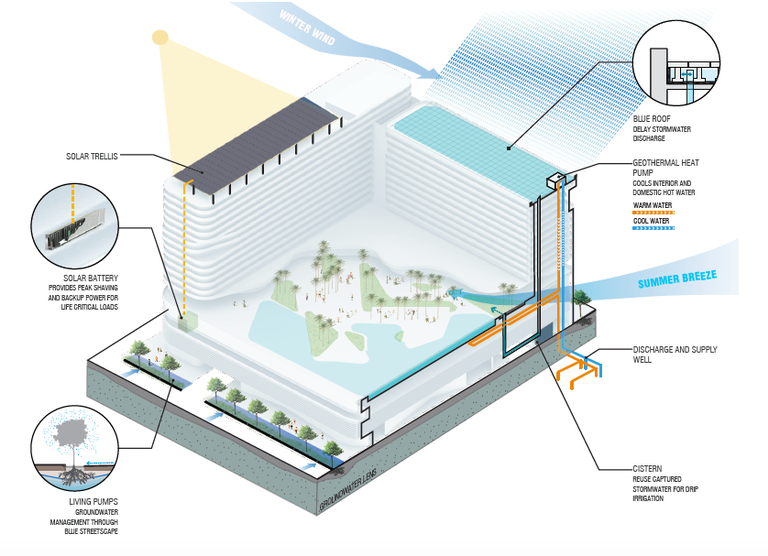 It is being designed with environmental-friendly features such as rainwater storage and a solar roof with battery storage. Very nice design and location.. more shopper and patrons for Lincoln Rd. and Fillmore theater.. more foot traffic in general for South Beach. Is this preserving the Fillmore? Knocking down the western part. Do you know what was housed in the western part? What else are they doing to the Fillmore? Considering the terrible 2015 redesign, a taller version of this would be cool as the MWC Marriott. The other proposal was much better. Now let’s get momentum to build the convention hotel this side of the bay. seems odd they they would not orient the pool deck to the east to maybe try and capture an ocean view and possible whatever breeze you could. that SW orientation get blasted by the sun during the worst part of the day. I don’t know, this parti seems a bit unfocused. They are more concerned over “environmental” doo-hickeys than designing a good hotel.